R & R Roofing has been in the roofing business for 33 years and consistently provides quality roofs that protect your home. We're experts in all phases of residential and flat roofing. Whether you need a new roof or would like us to repair your existing roof, R & R Roofing is well equipped to handle every residential roofing project you require. 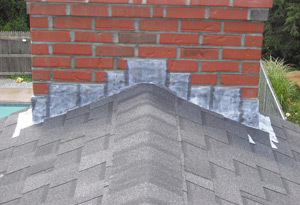 We're locally owned and operated so we know exactly how to install durable roofs that resist the elements for our area. Free Estimates are available on all of our work. The owner of R & R Roofing is on every job to make sure each project represents the high quality roofing characteristic of our company. We're a fully licensed and insured roofing contractor so you can trust that we will fulfill your project completely. To review our past work, be sure to check out our Gallery page.